When planning a road trip, people are more concerned about what to pack, than preparing their vehicle. As most people don’t think about tires in the excitement of starting a trip, tire problems continue to be one of the most common causes of road mishaps and unexpected delays. A basic tire inspection, therefore, is an important task to perform before leaving your home, which will not only improve safety but also help boost fuel economy. Such pre-trip tire inspections are similar to what used car buyers perform before they buy wrecked cars for sale from online salvage car auctions. Although the check should be performed weekly, it must be performed before embarking on a long journey. 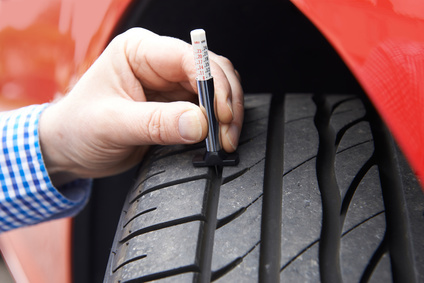 Continuing on the subject, this blog provides a simply DIY tire inspection checklist. Take a look. Tires are bound to lose air over time, and underinflated tires can cause a number of problems ranging from decline in fuel economy to unstable ride, and in extreme cases even accidents. It is, therefore, important to periodically check the pressure of your car’s tires. When getting the tires inflated, check the manufacturer-prescribed pressure for the tires, which should be mentioned on a sticker on the driver’s door jamb of the car. The pressure of tires must be checked when they are cold, so measure it after it has been parked for a few hours. Regularly checking the tread can help diagnose and prevent potential problems. Check them at least once a month, and before and after long journeys. When you’re planning a long journey, it’s a good idea to check how much tread is left on the tires. Although tread depth gauges are easily available at affordable prices; even if you don’t have, a quick look at the tires will give you an idea about whether they are reaching the end of their lifespan. In some cases, tires can develop cracks, cuts and bulges over a period of time, especially when they are used on unwelcoming terrains or under low pressure. If you notice any signs of a problem, you should immediately replace the tires or consult a professional. Some tire dealers offer free road-hazard warranties, and it’s something to look for when shopping for tires. Some automobile manufacturers recommend that any tires more than 6 years old should be replaced, regardless of the wear and tear. Every tire has a code specifying its manufacturing date. Look for “DOT” followed by several digits on the lower sidewall of your tire. The last four numbers tell when the tire was manufactured; the first two digits specifying the month, and the last two specifying the year. “2017” on a tire, for instance, indicates that it was manufactured in the 20th week of 2017. Before starting your next roadtrip, perform a thorough inspection of your car tires to keep potential problems at bay. Even when you are planning to buy a salvage or wrecked car for sale from an online salvage car auctions, it is important to perform tire inspection to check whether you would need to replace the tires if you go ahead with the purchase. If you are looking to buy salvage cars at online salvage car auctions, your search ends at AutoBidMaster. We provide an extensive listing of wrecked cars for sale and salvage vehicles to suit diverse needs and budgets. Check out our inventory and register to start bidding. To get more information on our bidding process or any of the damaged motorhomes for sale listed with us, simply call +1503 298 4300 or fill out our contact form.